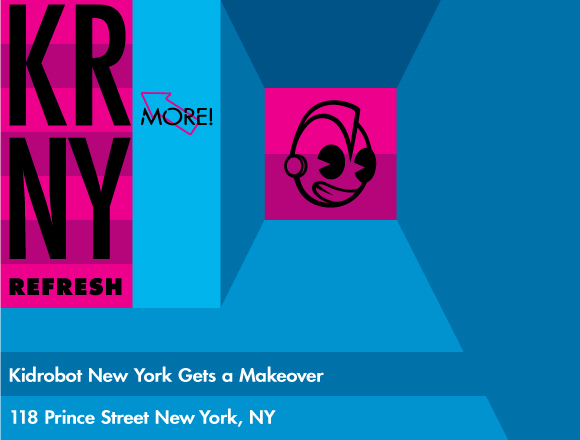 Kidrobot New York is having a ‘REFRESH’ and you’re invited! On Saturday, 3/23 & Sunday, 3/24 from 11am-6pm we will be featuring live Art with David Kraig and a DIY MUNNY event with Mike Die. Also on Saturday 3/23 we will be having a fashion show with live DJ from 7-11pm. Let us feed and ‘water’ you while you swag up and get down! So throw on your best KR threads, flip your wig, and head to SoHo!